It delivers all the data you could want, but it's one of the priciest models around. A scale is an odd thing to review. For one thing, it's one of the few gadgets you have to be completely naked to test. It also sends you down a rabbit hole of fitness tech, with too many apps and too many connected devices that do too many things. The Withings Body Cardio scale is emblematic of that, giving you your heart rate, body-fat ratio, bone mass, water mass, the weather (!) and something you never knew you needed called the "pulse wave velocity." Oh, and your weight. However, Withings, now part of Nokia, aimed to make the Body Cardio as simple and elegant as possible in terms of both design and ease of use. And for the most part, the French company succeeded. Once the scale is set up, you just have to stand on it to get all that data, and it'll look great in your bathroom or anywhere else. 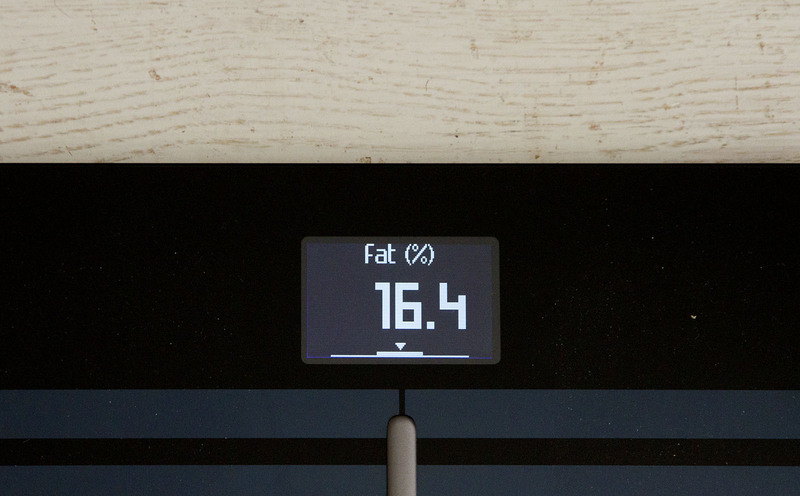 The petit problème is the $180 price tag, which makes it one of the most expensive scales on the market. 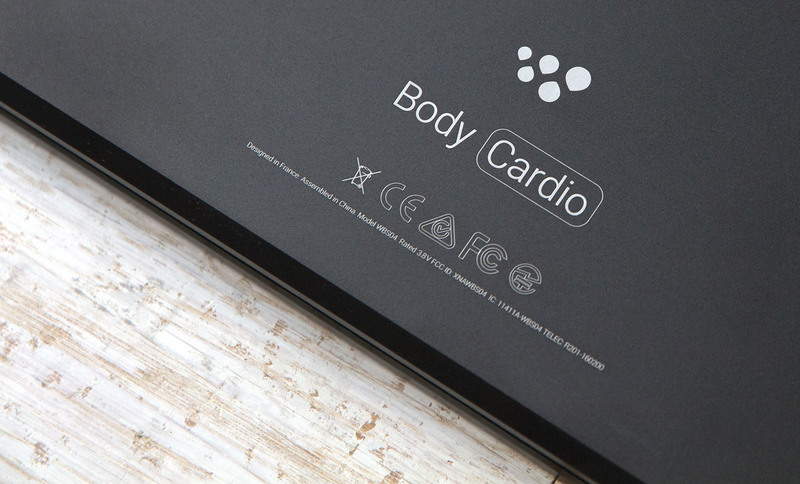 Designed by French partner Eliumstudio, the Body Cardio measures 13 by 13 inches and just 0.7 inches (18mm) thick, with a much more refined design than the company's previous high-end model. The reason it's that lean is that it doesn't have any feet, which helps it work on just about any surface, including carpet. The tempered glass and aluminum body has a clean, dare I say Apple-like design, and the black or white models should blend in with most bathrooms. With a built-in rechargeable battery that goes nearly a year on a single charge, you don't have to buy AA or AAA cells. I set up the scale and Withings Health Mate app in about a half hour, but not without some fiddling and an aborted attempt. During installation, it also installs the MyFitnessPal partner app. Not counted in that time is getting both Withings and MyFitnessPal to play well with Google Fit. 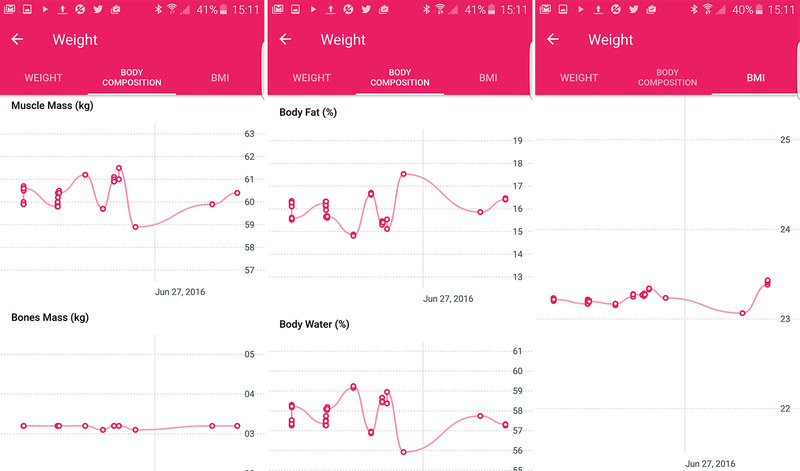 Doing so enabled me to send exercise data from my Samsung Galaxy S6 Edge (and LG R watch) to Withings and import my weight, body fat other vitals into Google's ecosystem. It also works with Apple's Health app. Once the setup is over, using it is simple: Just stand on the scale. Depending on your preferences, it gives you your weight, fat mass, total body water, bone mass, muscle mass, heart rate and the weather forecast (that's pretty handy in the morning, actually). The more data you want, the longer the weighing sessions take. As for the vaunted "pulse wave velocity," you have to stand on the scale five times before you get your first measurement, and it only shows the figure on the Withings app. Withings tested the PWV against instruments used by cardiologists and found a "good correlation." It's not meant for clinical use, of course, as the FDA merely classifies it as a "wellness device." Nevertheless, a high PWV could provoke some folks to see a doctor and possibly nip a serious issue in the bud. The Body Cardio is a very accurate scale (it even takes the gravity at your location into account) and pegged my weight to within 0.2 pounds nearly every time. The bone, fat and water composition measurements were also consistent. Consistency is good, but bear in mind that impedance scales are notoriously inaccurate at gauging body fat. My heart rate varied a lot, going from 55 bpm during one measurement up to 100 bpm in another. If I was extra careful to keep my feet in exactly the same spot on the scale, the range tightened up a bit, but still varied as much as 15 bpm. Withings told me that it's normal for that measurement to vary because just standing up can make your heart rate jump considerably. However, after checking my pulse with my finger and a stopwatch, it's clear that the device often misread it. The pulse wave velocity measurement is taken independently of your heart rate and gave me consistent readings between 7.2 and 7.9, which is supposedly normal, though not optimal. Withings doesn't give a lot of information about how to improve that, other than obvious things like exercising more and eating better. However, the company's researchers and doctors will study (anonymous) user data, compare it with other health factors, like activity level and diet, and eventually use those statistics to help users improve their health. 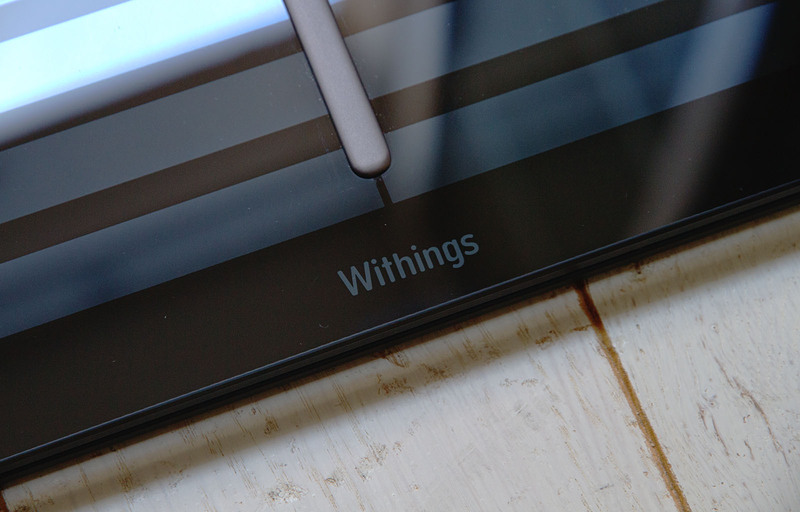 Of course, Withings was recently purchased by Nokia and put in charge of its health division to compete against Apple, Google and other companies. So the Body Cardio will no doubt help it conduct research on cardiovascular fitness and other health factors. The Withings app connects to the Body Cardio via Bluetooth, and if you connect the scale to your WiFi network, it will upload the data sans phone. You can then track and graph your progress to a T, either on your phone or a computer. 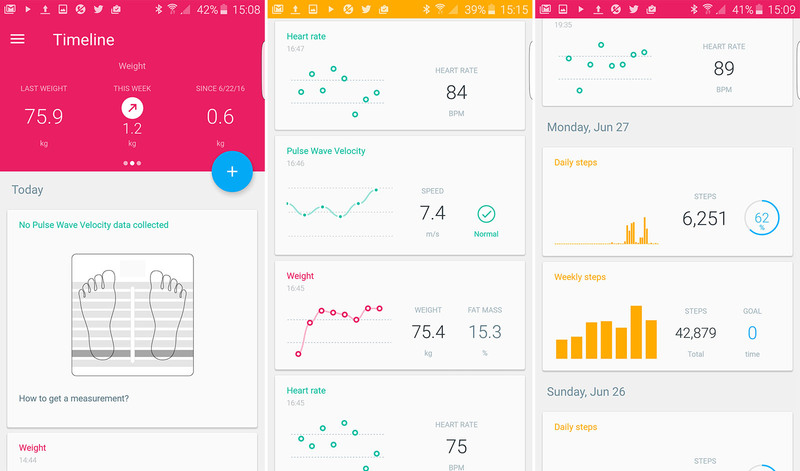 If you also use MyFitnessPal and Google Fit or Apple Health, and a handset, fitness tracker or smartwatch, you can compare how exercise and diet affect your weight, BMI, pulse wave velocity, et cetera. All that data is cool, but I prefer to just watch what I eat, exercise regularly and then weigh myself once a week to see if it's working. And while the scale was consistent with most measurements, it often misread my heart rate (many smartwatches and trackers also fail in that are). 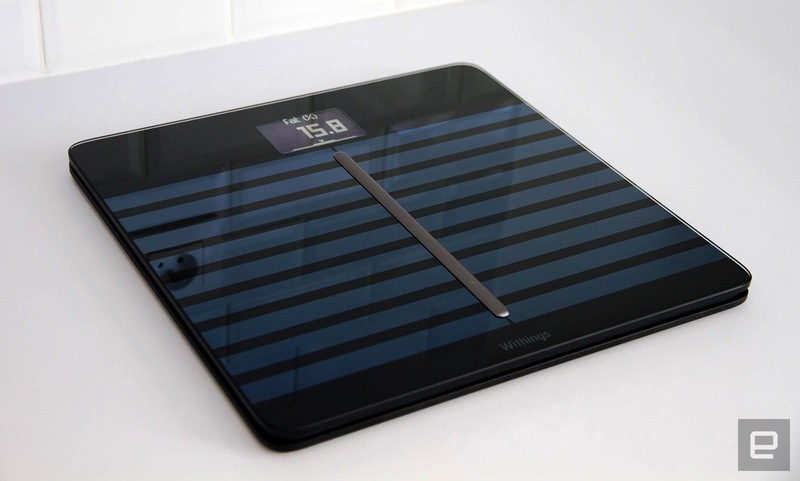 I'd be more tempted by Withings' Body scale, which launched along with the Body Cardio. It's similarly sleek and gives you all the same data, bar the pulse wave velocity and heart rate, for $130. If you're not one to quibble over $50, the Body Cardio easily looks like it's worth $180 thanks to the elegant, low profile design. And it delivers more health data than any other scale -- which should put it high on the list for committed fitness junkies.